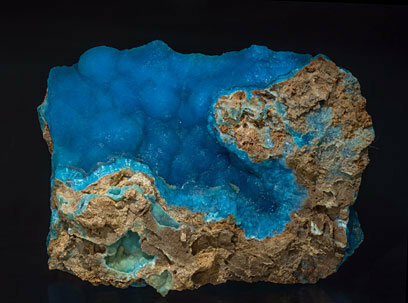 Botryoidal Hemimorphite growths on matrix that have a very intense blue color that resembles the best samples from the famous Sa Duchessa mine in Sardinia. Very unusual for the locality. 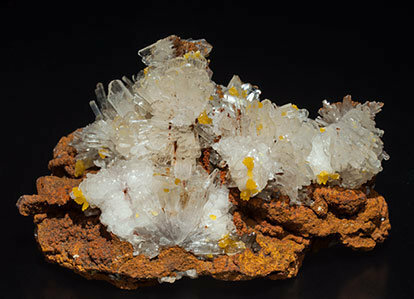 Radial groups of very sharp, flattened Hemimorphite crystals with very well defined acute terminations, well differentiated, transparent, very bright and on a limonite matrix. 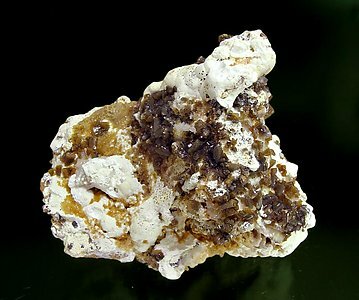 Fan-like aggregates, on limonite matrix, of transparent Hemimorphite crystals that are sharp, bright, and have excellent terminations. Some of them have reddish inclusions of Hematite. 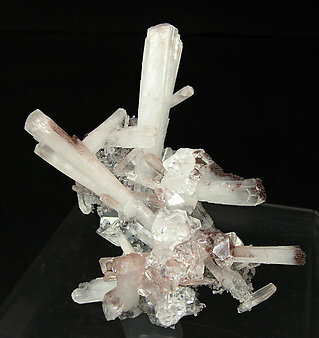 Transparent and colorless Calcite crystals are associated. 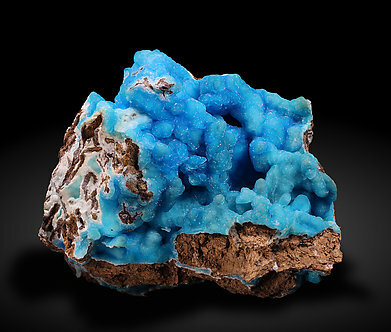 Among the many and nice incentives that Chinese mining has provided us in recent years there are some scarce samples of botryoidal Hemimorphite with an especially intense and vivid blue color, with a surprising resemblance to the classic and very well known samples from the Sa Duchessa mine, in Sardinia. Aggregates of short prismatic crystals, thicker than usual on samples from the Ojuela mine. They are on a limonite matrix and some of them have red inclusions. The sample, apart from its mineralogical and historical interest, is really esthetic. 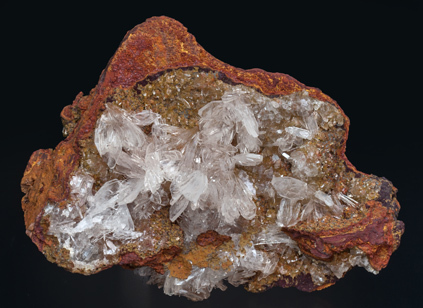 Fan-like aggregates, on limonite matrix, of transparent crystals of Hemimorphite. They are sharp, bright, have excellent terminations and are with small rhombohedral crystals of calcite with reddish inclusions of Hematite. 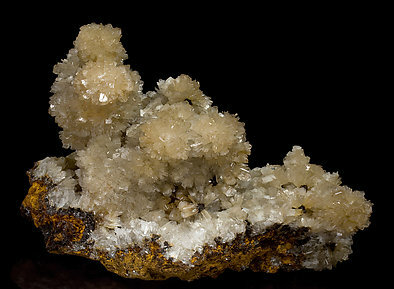 Fanlike growths of Hemimorphite crystals. They are flattened, transparent with sharp faces and edges. 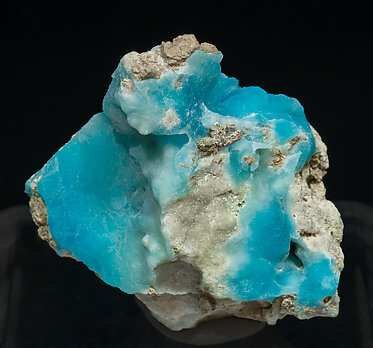 The Hemimorphite is with small clear crystals of Calcite on a matrix of Limonite. Botryoidal aggregate, on a calcareous-limonitic matrix, with a deep blue color very intense and uniform as is usual on samples from this locality. The sample is a classic for Sardinia. 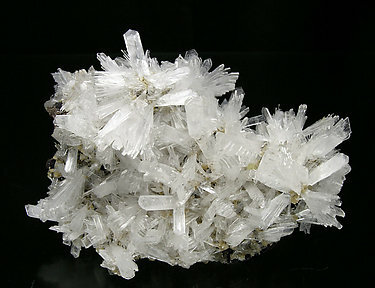 Group of white prismatic crystals, very well defined and bright, on a dark matrix partially limonitized. 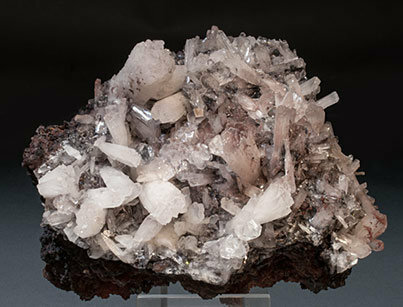 On the lower part of the crystals there is a black phantom zonation. Radial groups of thin, separate and very sharp laminar crystals. They are transparent and very bright, with very well defined faces and edges and on a limonite matrix. 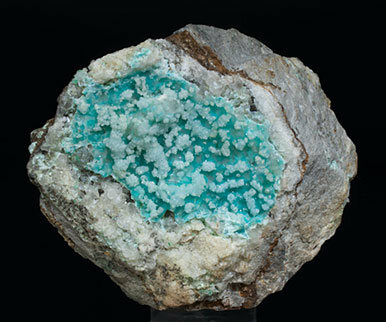 Aggregates of white Hemimorphite microcrystals on bluish green Aurichalcite that has grown on a surface of small Quartz crystals coating a rocky matrix. As is the case with so many specimens in this collection, the sample is of great quality for the locality. Very aerial growth of isolated elongated crystals, very well defined. 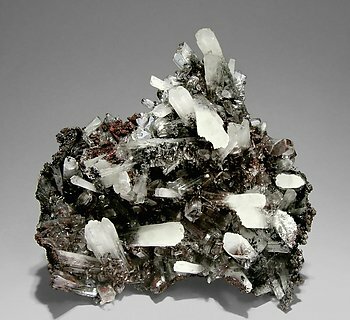 The crystals show an excellent luster and perfect terminations, with slight reddish inclusions of Hematite and curious, very bright and transparent, crystals of Calcite. 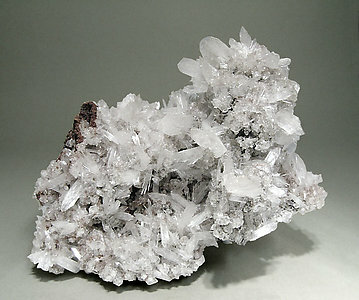 Radial and fanlike groups of flattened crystals. They are translucent and very bright, with a slightly yellowish color zoning. They are on a limonite matrix. The sample is characteristic of finds in the seventies of the last century. 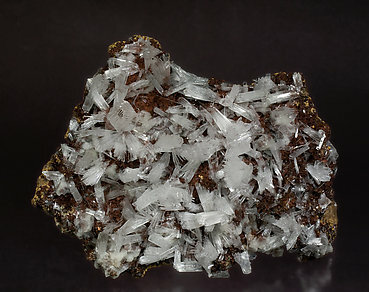 Small prismatic crystals of Hemimorphite, dark brown, very sharp and bright, partially covered by a bed of spheroidal groups of white Hydrozincite. 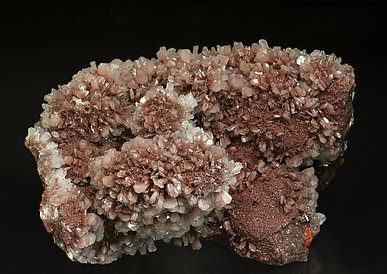 Small prismatic crystals of Hemimorphite, dark brown, very sharp and bright, partially covered by a botryoidal uniform bed of white Hydrozincite. 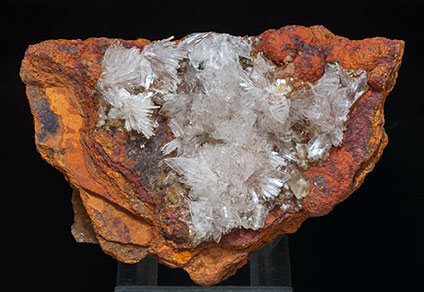 Fan-like aggregates and radial groups of flattened Hemimorphite crystals with excellent terminations. They are very well defined, separate, transparent, and bright and are on a limonite matrix, with small and intense yellow bow-tie Mimetite groups. Fan-shaped groups of transparent Hemimorphite crystals, with a very good brilliance and excellent terminations. Accompanied by very small aggregates of yellow greenish Mimetite crystals. 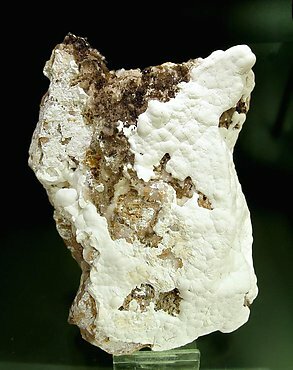 On a Limonite matrix.